They range from extremely simple to quite challenging, but all can be stitched with the machine regulating the stitches. 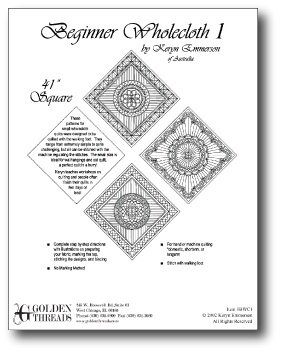 The small size is ideal for wall hangings and cot quilt, a perfect quilt in a hurry. 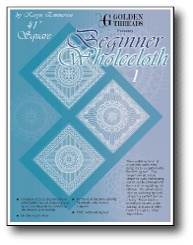 Keryn teaches workshops on wholecloth quilting, and people often finish their quilts in two days or less. Includes complete step-by-step directions with illustrations on preparing your fabric, marking the top, stitching the designs, and binding. For hand or machine quilting domestic, shortarm or longarm.